Furniture sliders are pieces of durable plastic and rubber that allow you to slide heavy furniture and other items across all types of surfaces. All you need to do is place a slider under each corner or leg of the item and then you’re ready to move it. further, let me say: Cheers to new adventures! Every culture has traditions that they follow when they are making big moves in life and for a move as big as this one, you must take a look at these superstitions that will brin luck and prosperity to your new home. This tradition hails from the Jewish people. They see bread as a basic food that symbolizes a sustainable life. Salt, on the other hand, will never spoil and this symbolizes permanence ina new home. Another belief is that salt has the power to ward off evil spirits when sprinkled. So do not forget to bring your salt and your bread. We have prepared a helpful guide that will help to make the process of packing electronics less stressful. Unless you are looking for an excuse to replace your electronics, this guideline is well worth your time. To be on the safe side, it is advisable to back up your computer files on a portable hard drive or a cloud storage service. These files could be photos, videos, music and important documents. Backing up will save your data in case anything happens to your computer during packing and moving. For extra safety, back them up in two different locations. Moving to a new home poses some serious challenges. There’s plenty of things to worry about, and one of the most pressing matters is moving expensive furniture. Whether you own antique furniture or more modern but equally as valuable pieces of furniture, you’ll want to do your best to keep them safe. We understand how important the safety of your belongings is, which is why we’ve put together this comprehensive list of things to do to ensure no luxury item gets damaged during a move. Did you know that your ability to make the right decision can either make your move smooth or turn it into an utter chaos? If you plan beforehand and make the right moves, you have a perfect recipe for a comfortable relocation from start to finish. Take the wrong decisions and you will experience first-hand why relocating is known as one of the life’s most stressful events. 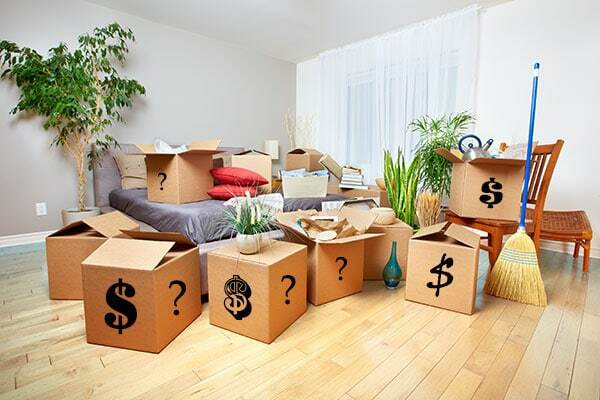 There are so many decisions you will need to make during the process of moving your belongings from your old home to the new one. So, it’s time to get better with your decision-making skills before its too late. One of the most important and initial decisions you will probably take while moving your home is whether or not to hire professionals.